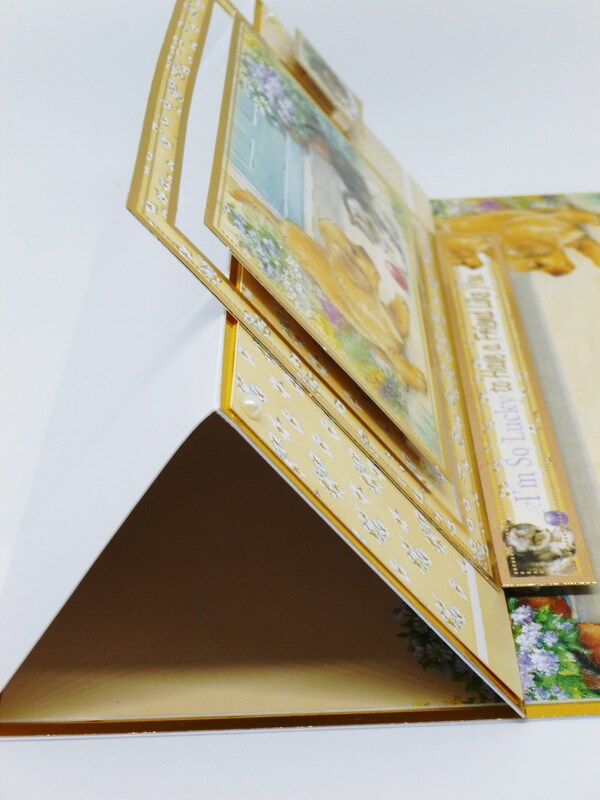 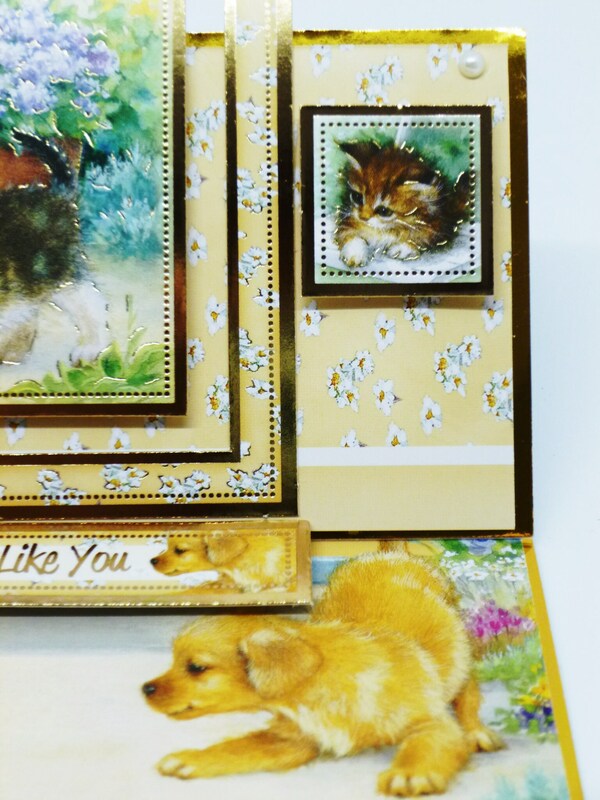 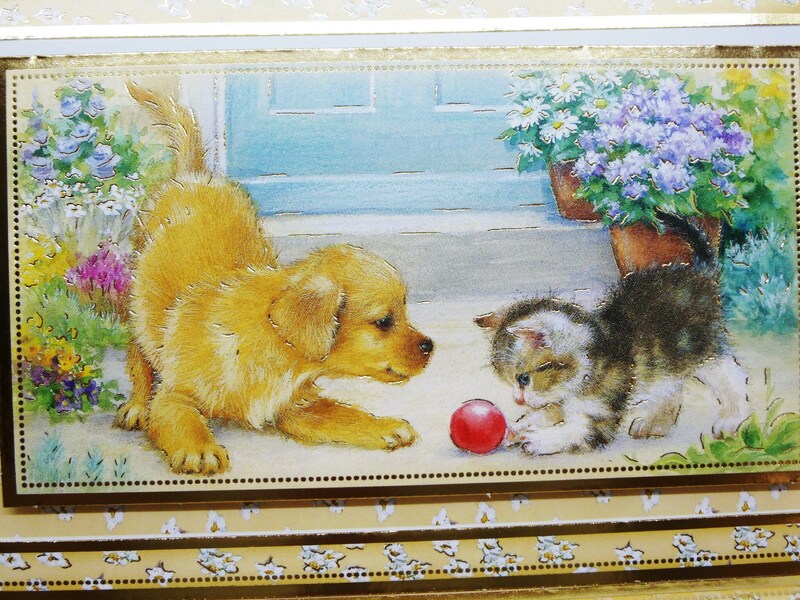 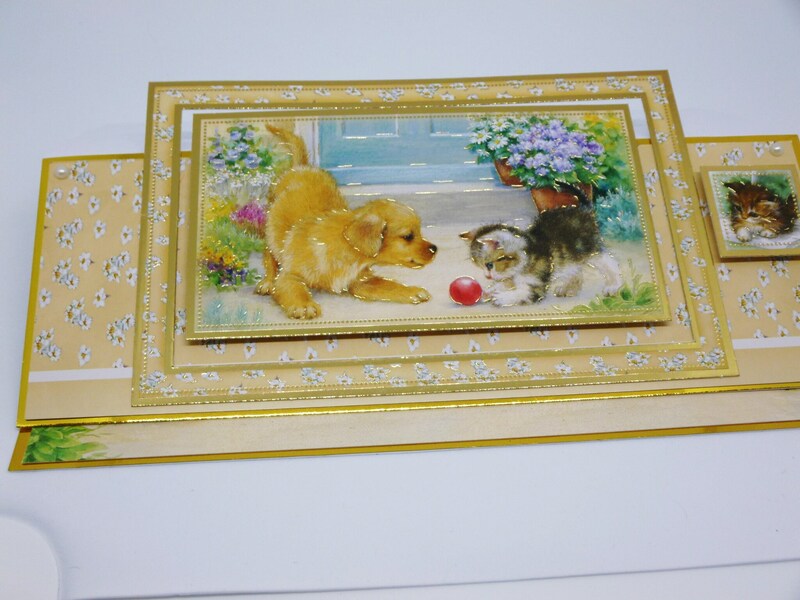 Easel card with puppy and kitten on the large topper, made from white base card and layer with gold card and patterned card, with a large frame and topper on the top part of the card, with a small topper to the right. 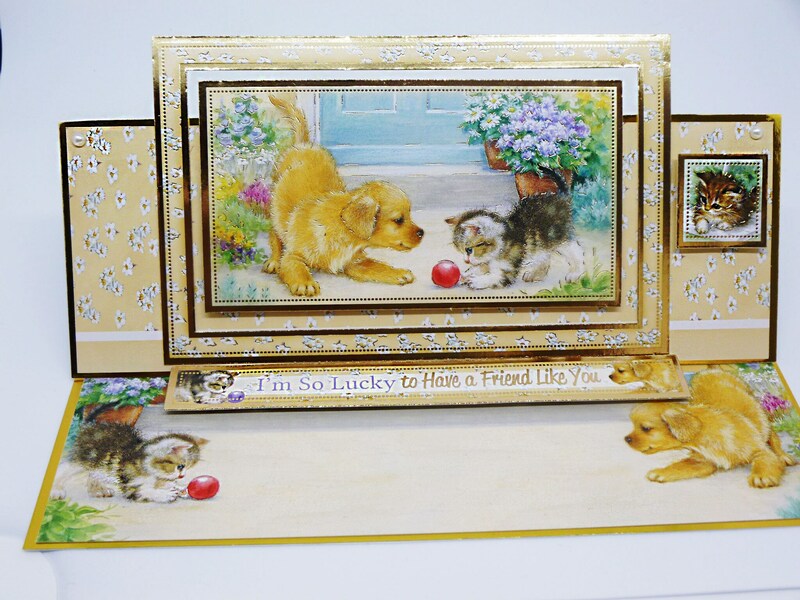 pearl embellishments in the top corners of the card. 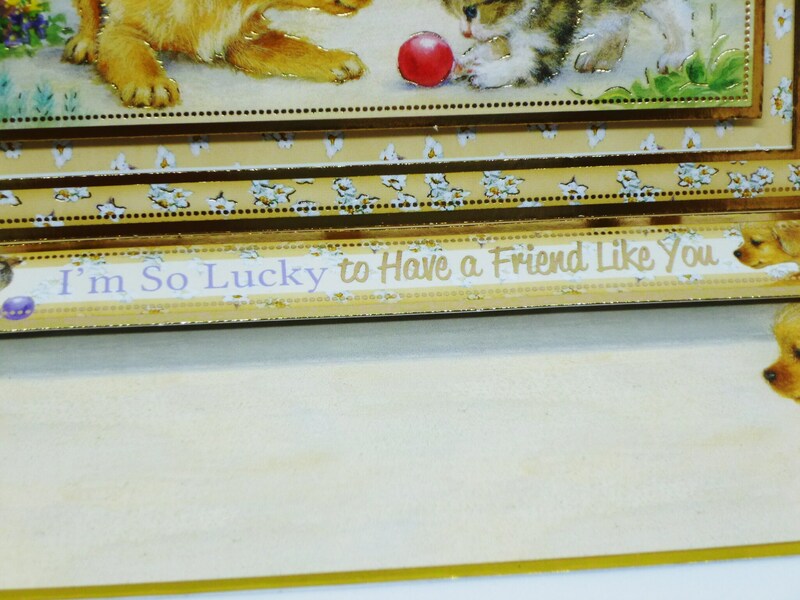 On the base there is a sentiment used as a stopper to keep the card standing up, which says,'I'm So Lucky to Have a Friend Like You'. 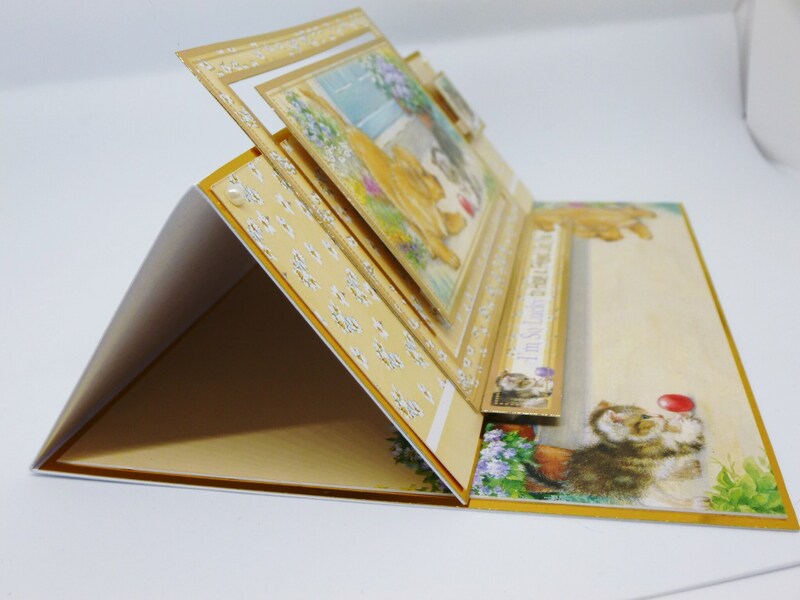 There is a place either inside the flap, or on the back of the card for your own personal message. 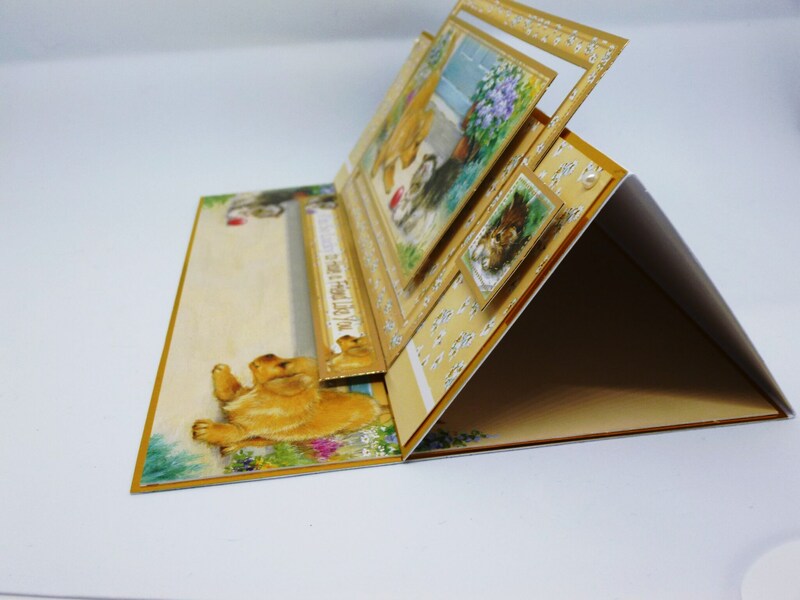 If you would like it personalised please contact me. 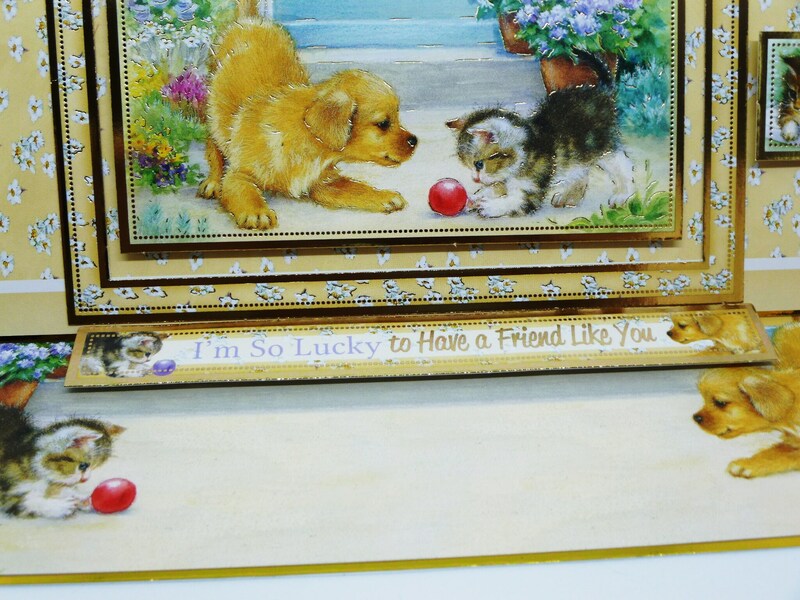 This is adorable, just as pictured.